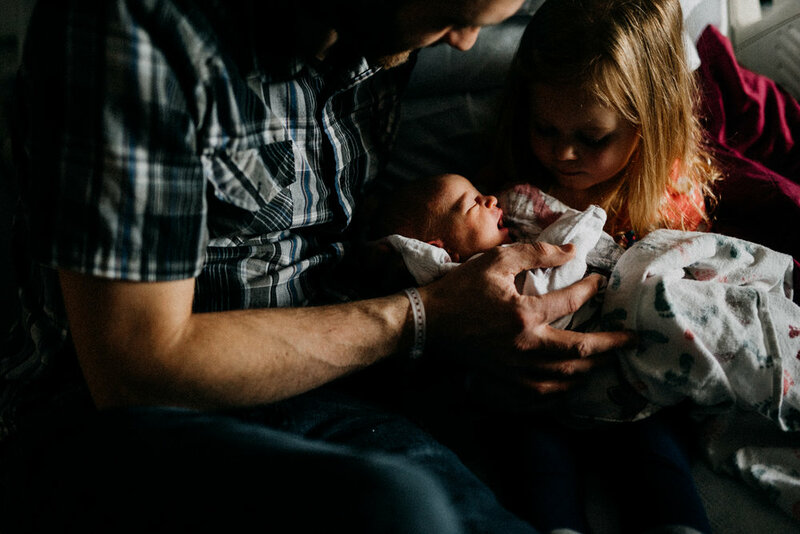 My lovely friends welcomed their second daughter into the world this week. The day after she was born, I headed up to the hospital to visit and take some photographs, but this isn't your typical "fresh 48" session. If I'm being honest, photographing newborns isn't very high up on the list of things I excel at. 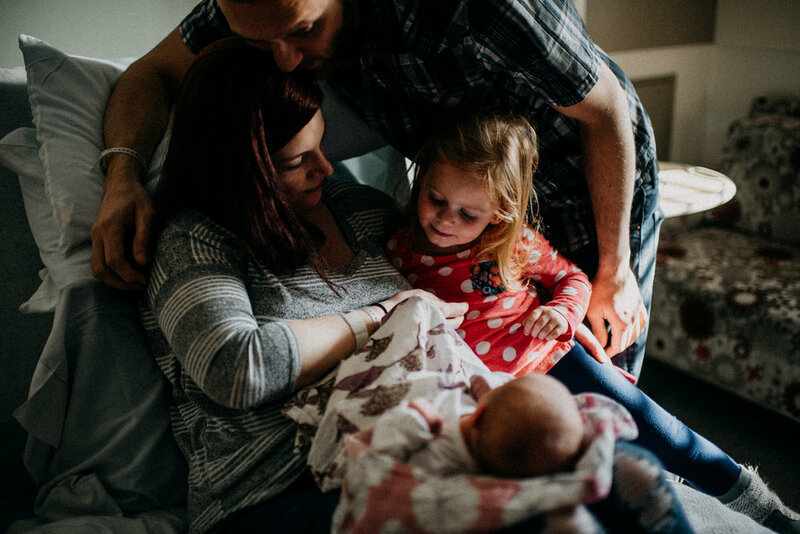 In the past I've tried a range of newborn sessions, from highly posed with props and backdrops, to just slightly posed in the hospital or home environment. What I have found is that I work much better with a completely unposed newborn session. Posing newborns takes time, practice, talent, and level of patience that I truly just don't possess. Documenting comes much more naturally to me. 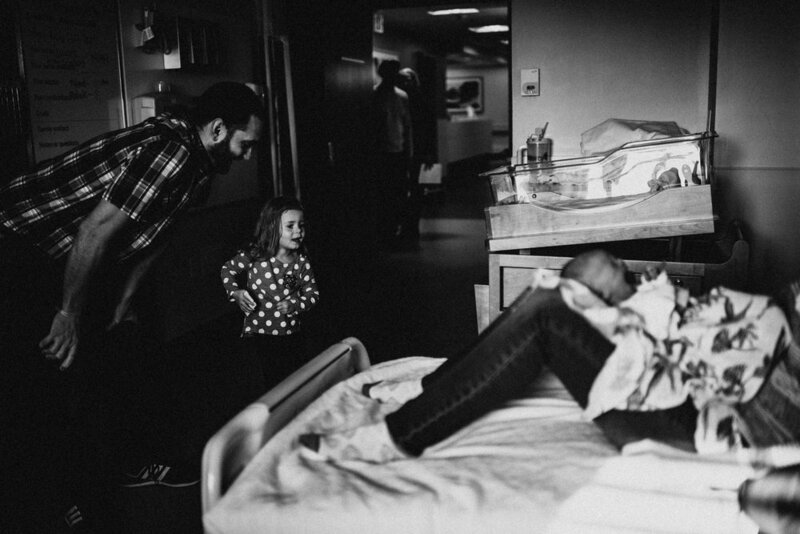 This is my third time photographing an older sibling meeting their baby sibling for the first time in the hospital, and every time it's so amazing. 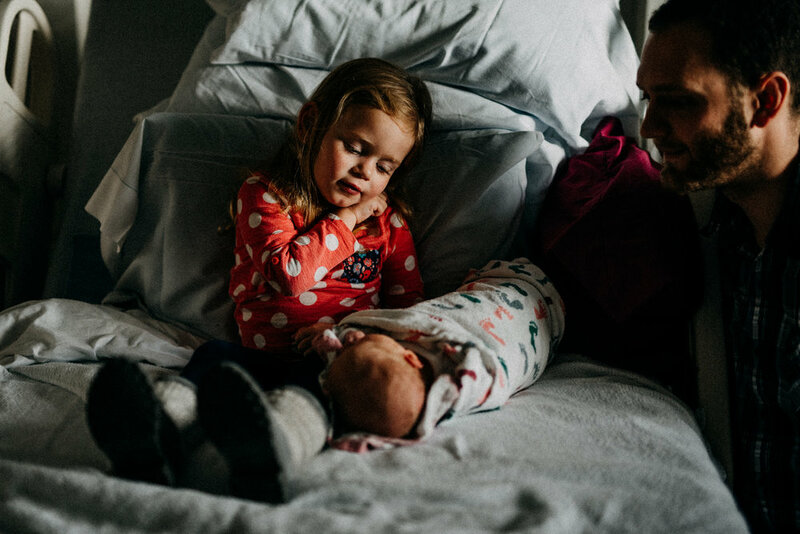 I think it's just as important to document the older sibling(s) as it is to document the new baby, because the family and world that they are used to has now turned upside down. 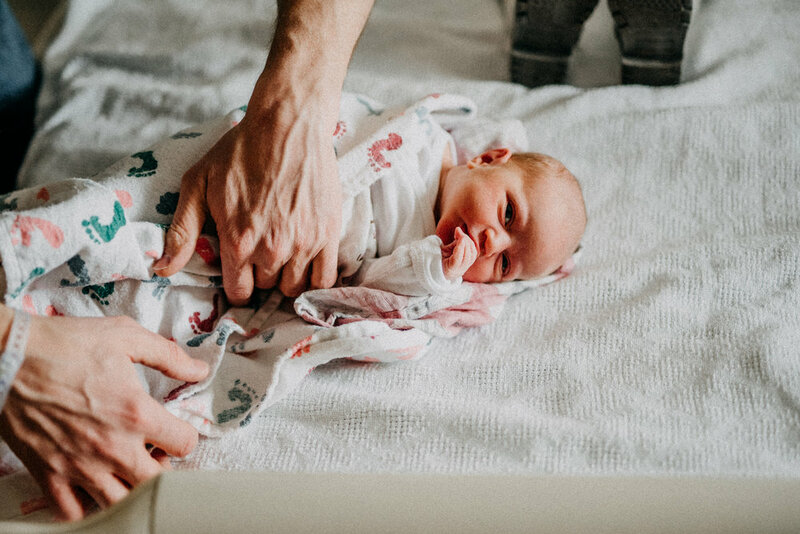 There's such a range of emotions - joy, excitement, uncertainty, and maybe even a little bit of fear or worry (especially when that baby starts crying ;)). 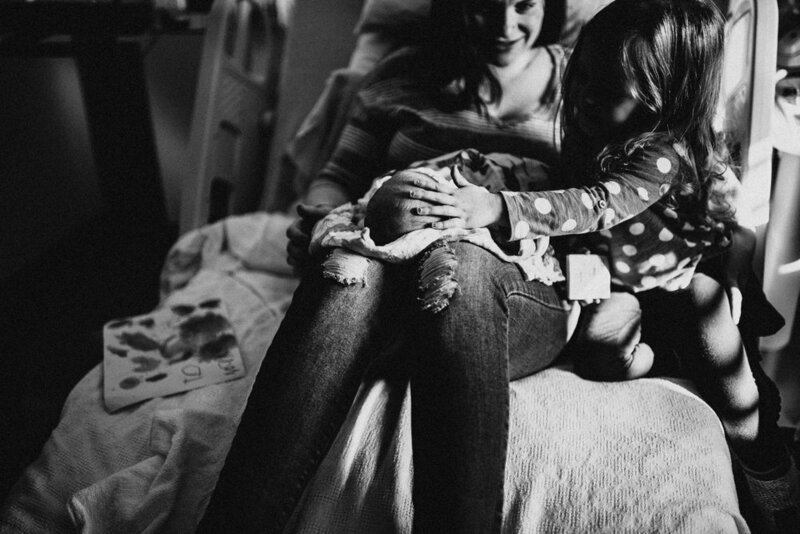 I find these moments to be tender, bittersweet, and honest. And in my book, nothing beats documenting real emotions and real life. I'm so happy for my friends and thankful for a successful delivery and a healthy baby. Can't wait to see what kind of person this sweet little human becomes.